Blessing is life giving and has creative power. (Num 6:22-27, Prov 18:21) I feel strongly that speaking and declaring blessing is on the Father’s agenda right now. Spoken blessing is significant throughout Scripture. The first words God spoke over Adam and Eve were words of blessing. (Gen 1:27-29) The last words Jesus spoke over the assembled group of disciples as He was ascending to Heaven were word of blessing. (Luke 24:50-52) Jesus taught His followers to bless, and He continually demonstrated it. The world around us views blessing as an occasional happy event. However, the truth is, that in Christ you are already blessed and always blessed. (Eph 1:3) Jesus is the source of your personal blessing and through Him you have the ability to bless others. When you bless in accordance with the Father’s intent and purpose, your blessing is prophetic. One of the NT Greek words for blessing is ‘eulogeo’, which means, ‘to speak well of.’ Today, we speak a ‘eulogy’ as we reflect positively on someone’s past life and achievements. A eulogy is frequently used in the context of a funeral or memorial service. However the Father speaks His word of blessing ahead of time, speaking forward, and that blessing has the power to bring His intentions to pass. In our culture today, people are more likely to complain, speak negatively and criticise, than to bless. People are more likely to forecast harm than prophesy good. 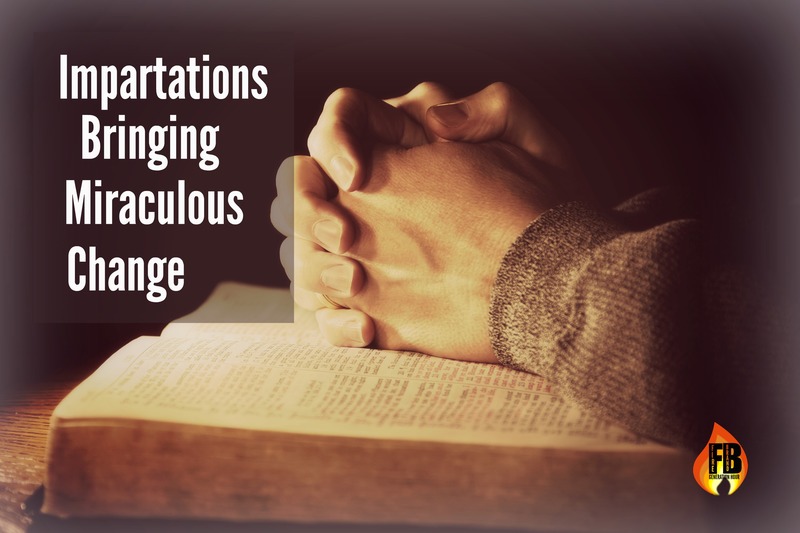 Because of this, speaking and praying words of blessing may seem unnatural for us at first. However, it is time to align our words and our lifestyle with the Kingdom of God. God instructed His priests to speak a blessing over God’s people. (Num 6:22-27) As they spoke the blessing, something tangible was being imparted to the people, and God followed the words to bring about His blessing. This teaches us something about Kingdom culture. You too have the ability to bless, and to release the ‘shalom’ of God—something tangible imparted by the Holy Spirit. Power follows your words. Are your words empowering the move of the Holy Spirit? Jesus teaches us to bless our enemies. (Matt 6) He teaches us when in the trial, to move in the opposite spirit of what is taking place. Blessing releases the power of God when we are undergoing opposition from others to God’s purposes in our lives. We often pray, ‘Lord bless so and so’ but have lost the real meaning and power of blessing. We have reduced blessing to a wish, something we can hope and pray for. However, the Kingdom mindset is one of plenty and abundance. In the context of prayer, blessing requires a shift of perspective. We are not praying for something, we are praying with something. You are empowered to bless others, as you comprehend the abundance that you have received from God and that you have access to. You carry something that you can give away! Those of us who are parents and leaders have a special mandate from God to bless our children, as well as those we lead and serve. The Scripture is full of examples of fathers and leaders who blessed. Blessing was part of the priestly function in the OT and today in God’s Kingdom we are all ‘priests’ (1 Pet 2:9, Rev 1:6) and God’s sons and daughters, with the ability to bless. It is one thing to be convinced that blessing is powerful, and quite another to know how to put it into practice! Of course, the main key is to be led of the Holy Spirit. Remember that the source of prophetic blessing is your intimate relationship with God. Be open to different ways that the Holy Spirit may lead you to either pray blessing, or to speak and release it. There are some blessings in Scripture that you can use and adapt. Examples are found in Numbers 6:22-27, Deut 28:3-13, Phil 1:2, Gen 49:22, Matt 5:3-12. There are many different ways you can begin a blessing, such as, ‘In Jesus’ Name I bless you to… or ‘May you be blessed in / with…in Jesus’ Name’ Or a declaration of ‘You are blessed to be / do / with…’ or simply to speak the release of something by faith (you don’t need to use the word blessing). Scripture also provides a rich resource of the types of blessing that you can pray and impart, such as favour, wholeness, healing, fullness, fruitfulness, prosperity, protection, relationship with God, grace, peace, etc. The equivalent Greek word used for peace is eirene (Strongs G1515) and speaks of harmony, tranquility and the rest that comes from salvation. Click HERE to visit original source. This week, our David McCracken Ministries’ team is attending the Planetshakers Awakening conference here in Melbourne, Australia. Before we leave, I am posting the following prophetic encouragement for you. Resurrection is something Jesus accomplished and Resurrection is Who He is. Jesus is the Author of Life and He IS Life. Resurrection is that which has been dead, returning to life. The Spirit of resurrection lives on the inside of you and His anointing rests upon you. The Spirit of the Father who resurrected Jesus lives in you and His power is actively at work in you. The Holy Spirit brings healing to your body and life to your soul. Now you in turn are appointed to release life-giving power to the dying and hurting. As you speak words of life, those words have resurrection power. Declare life over your family and relationships, your job or business, your study, your church and ministry! Decree life over your town, city, region and nation. Death does not reign, life is here, and Life has overcome! You are destined to rise. No matter how far you have fallen in the past, no matter how hard you have been crushed, the resurrection of Christ gives you a future and a hope that is secure. Has the enemy sought to rob, steal and destroy your family, business or ministry? It’s time to turn it around. There is life rising up on the inside of you. There is a fire, a fresh determination being released and it is pouring through your spirit. This is not an end, it is the beginning of a new day. Have you lost an opportunity? Have you been betrayed, or cheated out of money that you were owed? Your Father is a God of redemption and restoration. The new thing He has for you is better than that which has gone before. So let go, and reach forward in anticipation of new gifts from God. Regret is washed away. The past cannot be changed, but it will be redeemed. Jesus is the Master Craftsman who makes something beautiful out of something broken. He is faithful, He is completely trustworthy. He is safe. The forgiveness of Christ is lavish and all-encompassing. Forgiveness sets you free from the stain of the hurts and abuse of the past. Let forgiveness overflow, both to you and through you—let it be fully unleashed in your life. It is time to walk clean, stride ahead with your head held high. Shame is washed away. Say ‘Yes!’ to the Father’s plans for your life. It is a new day. Refuse to settle for less than what Jesus has fully paid for. As you obey the leading of the Holy Spirit and the voice of your conscience, you are breaking out of limitations that have held you back. You are breaking through to a new level. Old assignments that have been against you are cancelled, in Jesus’ Name. You are anointed with boldness. Resurrection is in your spiritual DNA as a son and daughter of God. The Spirit of resurrection empowers you. You are destined to rise and to be a life-giver. Planetshakers Awakening is going global this year! If you are interested, find out how you can view online via Daystar Television here. 1. Be open to receive knowledge from the Holy Spirit concerning someone’s past or present situation. A ‘word of knowledge’, is information given to you by the Holy Spirit about a person or situation that could not be known by natural means. There are many ways the Holy Spirit may share an insight with you, such as through an impression, thought, feeling, physical sensation, vision or picture. By beginning with knowledge that relates to the past or present, you can have immediate feedback as to whether you are hearing the Holy Spirit clearly (or not). This helps sharpen your prophetic gift. 2. Always seek to add encouragement, comfort, or exhortation to the knowledge, to complete the word. This is an important key. For example, you may have an insight that someone is concerned about an issue right now with family/work/health/finances. What is Father’s encouragement for them? What is He up to? If the insight relates to something from the past, how does Father see that, what is He doing in relation to that—if it is about a difficult situation, how is He redeeming that? Step into the heart of the Father and speak from the perspective of His love for the person. 4. A safe environment for the prophetic gift to operate is one in which there is prophetic accountability and also, appropriate guidelines and protocols in place. There are important points about how to create a safe environment for personal prophecy here. Be wise about what you share, and how you share it. If the knowledge is sensitive, privacy may be needed. If a word of knowledge relates to an area that may be painful to the person, take a gentle approach. Do not share the insight unless you can share God’s encouragement alongside it. If you recognise that you carry a judgment (a negative or critical opinion) in relation to the knowledge you perceive, step back and pray. Let the Holy Spirit minister freedom to you, before you minister prophetically to the other person. Having an insight of knowledge (just as with discernment) does not always mean that you must immediately share what you perceive. Take the way of wisdom and love—if you are not sure, take it to a leader/pastor first rather than the person. An important part of growing in prophetic ministry is to learn the discipline of holding back when you have an insight from God, but the timing is not right. See the articles The Power of Prophetic Accountability and Prophetic Ministry in Church Life: Why Have Guidelines? This can be difficult, especially when we have done our best to be obedient to what the Holy Spirit is telling us. However, persecution is a signal that the Holy Spirit has a special gift for you. He gives you power to forgive, to speak well of your accusers, to be gracious, and to move in the opposite spirit of goodness, acceptance and love. 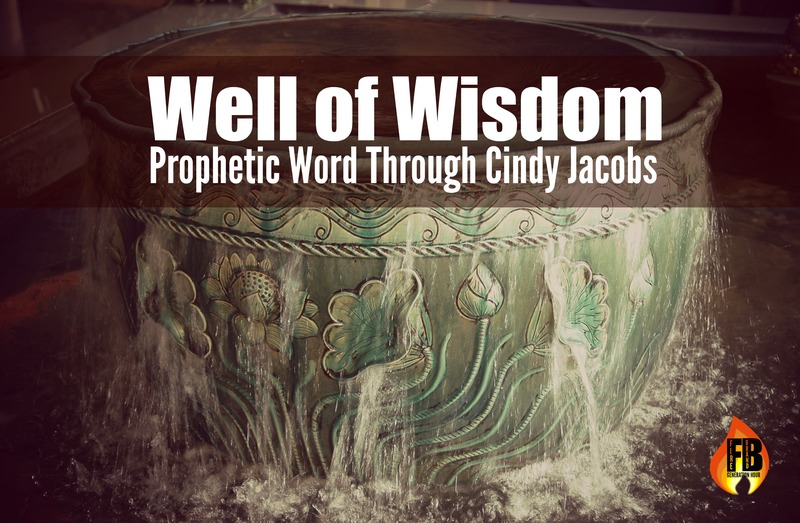 Do I personally have accountability in my prophetic gift? Have I discussed this situation with my oversight and been open to adjustment? Our Father will always give us a God-sized prophetic dream or task—one that we cannot accomplish in our own strength or with our current resources. When that dream is fulfilled, Jesus will receive the credit and the glory. Onlookers will know that the only possible explanation for what we have achieved is that God is with us! Inevitably, there will be limiting factors as you pursue God’s purposes—for example not enough time, not enough money, and not enough people. Sometimes we look at what God is calling us to do for Him and are tempted to shrink back, because it appears to be humanly impossible. Today, your Father wants you to know that all things are possible to Him. Nothing is impossible! God is well able to fulfill His promises. Nothing is beyond His ability to achieve! When you declare the possibility of God, it shifts you from the position of negativity and doubt, into the wide-open space of faith. Proclaiming God’s ability changes the way you think, and the way you see. You are no longer viewing your inadequacy; you are looking through the lens of what Jesus is capable of. God’s word transforms you. It sets you free from fear, anxiety and uncertainty. Your thinking comes into alignment with the promise of God. Abraham chose to believe in God’s ability to perform His promise over the physical evidence. As he persevered in that agreement, the miracle took place. When you see the fulfilment of God’s prophetic promises and declare, ‘it’s possible!’ your spirit is stirred with a sense of anticipation. ‘It’s possible’ is the voice of expectation, the proclamation of faith. ‘It’s possible’ leads to prophetic thanksgiving—praising and thanking God ahead of time for what He is yet to accomplish. Seeing your God-given dream as already accomplished, and declaring the possibility of God, puts you into the place of agreement with His purposes. It breaks open your destiny and gives you the boldness to step firmly into the future Father has for you. Today I am going to review a very common barrier to growth in prophetic ministry, and that is being hurt in relation to your spiritual gift of prophecy. An unhealed hurt or disappointment will not only affect your gift of prophecy, it will hold you back in other areas of your life, too. The same pattern of stepping out in prophetic ministry and then getting hurt or disappointed seems to happen repeatedly. There are many ways that people can become hurt or wounded in relation to prophetic ministry. The two most common are criticism and disappointment. We may have made a genuine mistake in the use of our gift, but leadership of the situation was handled badly. Perhaps we were publicly shamed. Perhaps we were not guided or restored as we should have been. The criticism may have been completely unwarranted—this adds a sting of injustice to the wound. Criticism was aimed at our level of maturity in the gift. We do not criticise or judge babies who are learning to crawl or walk—in fact we celebrate their efforts. And yet it is amazing how quickly we Christians judge one another when we are stumbling through learning stages in our spiritual gifts. Accusation and judgement are also related to criticism. If you have experienced any of these types of wounds in your prophetic ministry, you are not alone. These are things that many of us can relate to in some form or another. In fact, you will see these types of hurtful things happen to people with prophetic callings in the Bible. Think of the rejection that Joseph went through with regard to his gift of prophetic dreams and interpretation. He was criticised, rejected, misunderstood and passed over for many years before God raised him up and released him in his call. Yet he kept his heart free from bitterness—and in that is a lesson for each of us. It seems that God allows us to go through these tests as part of our development and character growth. When we overcome, He can use us in greater ways and entrust us with His Word and His power. A blockage takes place when we put up barriers, or walls of self-protection around us to prevent us from being wounded again. Even though others may have been the reason that we were shut down to start with, the ongoing issue is that we are reluctant to expose ourselves to further hurt. Our instinct is to hold back. So the very first thing we need to do, is to recognise our own part and responsibility in the blockage. We are the ones who, with God’s help, have the ability and the keys to break ourselves free. We do this by acknowledging this in prayer and repenting of allowing the walls to go up. God is sufficient. He is all the protection we need and He waits and longs for us to trust in Him. But often we use our own efforts to protect ourselves—and this is wrong. Secondly, if we have been criticised, removed from ministry or held back in the past, there may be an aspect of truth in the reasons for the action that was taken. I know from experience that this is a tough area to acknowledge, but addressing it and being humble enough to make any necessary adjustments is vital to fulfilling God’s call on our life. Unforgiveness and the desire to obtain justice can chain us to an event, preventing us from making progress in our prophetic gift. In prayer, speak out forgiveness, release the offenders from judgment, and from any debt that you believe they owe you. Sometimes, God might lead you to communicate with the person or group that has hurt you, but isn’t always necessary. Use discretion here, and look for some wise counsel. Forgiveness is not a feeling; it is a choice that we make. Also remember that forgiveness is not just a one-off decision; it is an ongoing process. This means continuing to choose forgiveness whenever you feel the hurt or the negative effects of the situation. If we have believed a lie, we need a truth encounter. We need to know that God’s love for us, and His attitude towards us, is not reflected in the hurtful attitudes, words or actions of others—even when they are people in authority. Meditate on the Father’s love and acceptance as expressed in the Bible, especially in the New Testament in the life and ministry of Jesus. Firstly, this means being accountable—and being under leadership. Sometimes, this means responding well to leaders who have hurt us in the past. We know we are healed when we can receive feedback and be open to adjustment in the operation of our gift without reacting badly. Becoming activated in our gift of prophecy again will mean taking risks and being vulnerable. However, the fruit in our lives and in the lives of others we minister to will be eternal. Sometimes hurts arise from a leader in the church—if this is familiar to you, I encourage you to consider my e-book, ‘Prophetic People in a Changing Church’ for more information on how to break free. I believe it is vital to foster a safe, nurturing environment in our local churches and prophetic communities to do this—so if you are a leader, I encourage you to make this a priority. When God first began speaking to Samuel, the boy did not know that God was the source of the voice. We also need to awaken to the fact that God is speaking to us and be expectant to hear from Him. We read, ‘In those days the word of the Lord was rare; there were not many visions.’ (1 Sam 3:1) That is not the case today. You have the Holy Spirit within you, communicating what is on the Father’s heart. God delights in sharing His thoughts and intentions with you. Perhaps God is communicating more than you have previously been aware of. He is stirring your faith to receive more. The picture is one of a constant stream of personal thoughts towards you, from God. It could be likened to ‘live streaming’ on the Internet—a constant flow of communication. Many people have a scarcity mindset when it comes to hearing God’s voice. But you can develop the awareness that God is speaking to you continually and that He wants you to hear what He is saying, because He loves you. In our home, we have difficulty with mobile phone (cell phone) reception. In order to speak to someone using our mobile phone, we have to locate a spot in our house where there is one or two bars of signal, and prop the phone up on a shelf to have a conversation. 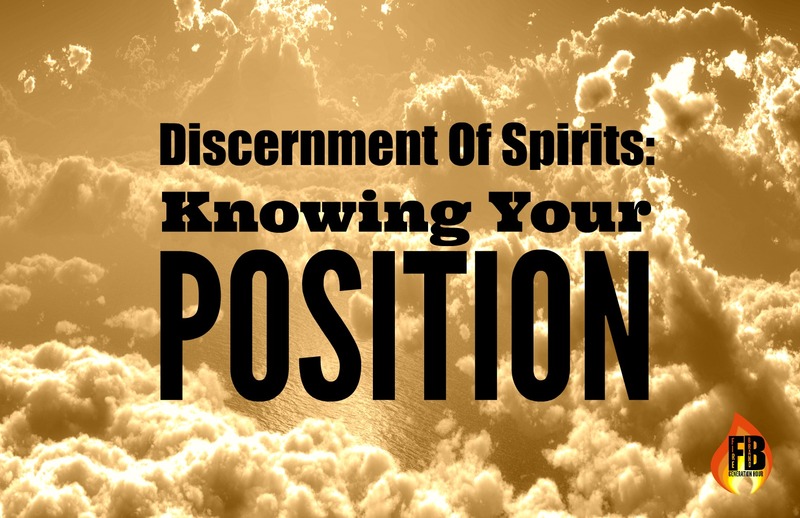 Positioning to hear God’s voice can be like that. The Holy Spirit is continually communicating what is on Father’s heart, but we may not be tuned in. We have to position ourselves internally to listen. Remember, God was already speaking to Samuel, but the boy had to put himself in the place to hear God. Like Samuel, you can have your ‘antenna’ up and develop sensitivity to the Holy Spirit’s voice. Developing the ability to listen is firstly about attitude. You can hear from God any time, at any place. However, there may also be a space where you can focus on relating to God and hearing Him more clearly. For me, that is taking time outdoors to walk and pray. It is an appointment when I have greater clarity and focus—I develop sensitivity to the Holy Spirit in those moments that impacts every moment of my life. In prophetic ministry, it can be easy to drift into focusing on the ‘what’ God is saying, and the word of the Lord, and forget that the heart of ‘prophetic’ is relationship. Hearing God’s voice is about encountering God as a Person. Samuel began his prophetic ministry with an encounter with God. God met with Him personally. When people heard from God in Scripture, in the many ways He communicated, they were encountering Him. And God is calling you to a ‘face to face’ relationship with Him. It is possible to hear what someone is saying, without engaging with them on a personal level. There is a distance between you. You can listen in to someone talking on the radio, TV, Internet or video and take note of what they say. You can listen to a speaker or preacher and be inspired. You can come away with something important they said that spoke directly to you, or information you need. In these instances, you can hear someone speak, but it is an impersonal, remote listening. It is one way. Hearing God’s voice is not like that. It is firstly about relationship. When God speaks to you, He desires for you to engage with Him. Like having coffee with a friend or loved one, a conversation and an exchange is taking place. It is on the heart of God to get up close and personal with you, just as He did with Samuel. He desires to have conversation with you. He longs for you to participate in a face-to-face relationship with Him. And even when you think that you have begun to discover what this means, there is always more of Himself that He wants to reveal to you. Do you want to hear God’s purposes for your life and ministry, or receive a fresh infilling of His Spirit? Do you desire to encounter God and know Him more? Here are 6 benefits of prophetic worship, followed with some ways that you can put this into practice in your personal life with God. 1. It Facilitates God Encounters. God created us for face-to-face relationship with Him. Our worship honours God and brings Him pleasure. However, if we view worship as being solely a one-way giving of our love and adoration to Jesus, we have not attained the highest purpose of worship. God’s desire has always been to commune with His people. Prophetic worship enables the Father’s voice to be heard, His heartbeat to be felt, and His purpose to be accomplished. When we encounter God in a time of prophetic worship, we are transformed and brought closer to Him. We leave that place knowing that God has touched our lives personally and that we will never be the same again. When we are yielded to Jesus in an attitude of love and worship, we are more receptive and open to Him than at any other time. ‘Impartation’ means a release of God’s power into our lives. This can be an infilling of His Holy Spirit, or a specific attribute of His nature; for example, He may desire to infuse us with peace, strength or faith. We know that an open Heaven is our inheritance. However, there are times when we have to contend for it, whether in our personal lives or in the Church. This is where prophetic praise is especially helpful. Praise is prophetic when it is directed and empowered by the Holy Spirit to accomplish God’s ‘now’ purpose for our lives or a particular meeting. Prophetic praise is the Spirit-led proclamation of who God is, of His attributes, of what He has done and what He will accomplish. During a time of prophetic worship, the Holy Spirit has begun to speak to us and our hearts are opened towards God. When the preaching or personal study of God’s Word accompanies or follows prophetic worship, the two merge together and a continuum of inspiration from the Holy Spirit takes place. In prophetic worship, God uses a song, instrumentation or other prophetic communication to speak His purpose into our lives—and that word has creative ability. Your Father may have a specific word of encouragement or instruction for you to receive. Prophetic praise celebrates the fulfilment of God’s promises before they are manifested in the natural realm. Prophetic praise is one vehicle that God uses to release His power and bring about His purposes in our lives and in the Church. We see examples of the power of prophetic praise in the Bible. Last week I looked at prophetic worship in the Church setting. However we can also use prophetic worship in our personal life with God. Note that any prophetic revelation (beyond general encouragement) received during personal times of worship need to be weighed up and followed through with leadership. 1. ‘Soaking’ worship means positioning ourselves before God in a dual attitude of worship and of receiving or hearing from Him. As we yield to His Spirit, He fills us, empowers us and speaks to us. Discover the unique way of connecting with God that suits you—for example, finding a quiet place accompanied by a worship CD, or walking outdoors in an attitude of worship and receiving. The key is to take time and to be intentional. 2. Develop a playlist of songs that are God’s ‘now’ encouragement for you personally, and listen to them regularly. 3. If you are a musician, take time with your instrument to worship God without a practice agenda. As you do, wait on Him for fresh inspiration, believe He is filling you with His Spirit, and allow Him to fill your heart and mind with the Father’s personal message to you and others. 4. When attending a worship gathering with others, enter in wholeheartedly and with the expectation that you will personally meet with God and receive All He has for you.